Who you gonna call when you got bare bedroom walls? How about this classic Ghostbusters 30th Anniversary poster, which commemorates the iconic horror comedy's return to theaters this summer. Dr. Peter Venkman (Murray), Dr. Raymond Stanz (Aykroyd) and Dr. Egon Spengler (Ramis) are back and no specter or haint is safe. Check out the return of the original Ghostbusters! And if you missed it earlier in the month, we also have the 30th anniversary trailer. 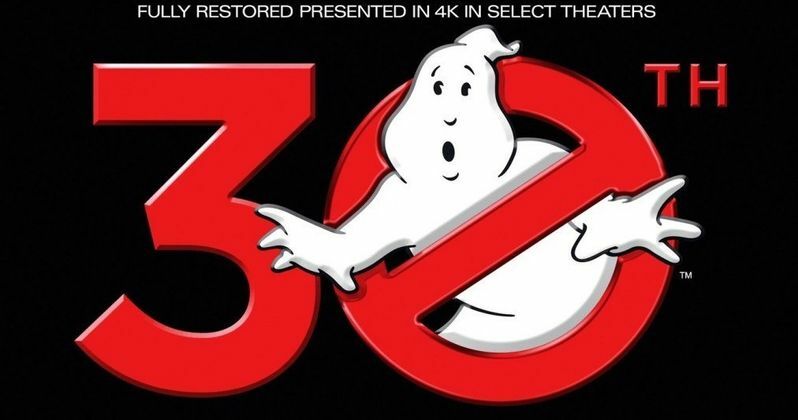 Just a few weeks after the re-release, Sony Pictures Home Entertainment will release Ghostbusters 30th Anniversary Edition on Blu-ray and the Ghostbusters 2 25th Anniversary Edition, which marks the sequel's Blu-ray debut. Take a look at the Blu-ray artwork below, and stay tuned for more news regarding the 30th Anniversary of Ghostbusters.